IROKO Theatre Company, winner of The Guardian Charity Award "for its innovative approach to education", is thrilled to announce that it has secured funding worth £83,000 from the London Councils. Out of 65 funding proposals submitted to the body for funding under its "Service 1a - Enhance Londoners' involvement in cultural activity linked to the themes of the Cultural Olympiad" - IROKO, a Stratford based theatre-in-education company is one of 11 organisations whose applications have been successful. The funding will enable IROKO to run its 'Bridge That Gap!' 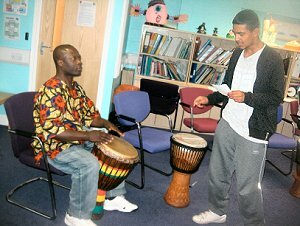 project between now and January 2012, providing dramatised and participatory storytelling performances, hands-on workshops in traditional African oral storytelling techniques, drama, music, dance, clay-making and tie and dye. The activities will take place in schools, parks, libraries, community halls and open spaces in neighbourhoods within 13 London boroughs. According to the London Councils' Recommending Officer, "The application is of a high quality with clearly defined outputs and outcomes that meet London Councils strategic funding objectives. The project reflects the cultural Olympiad themes and engages with people of all ages." Alex Oma-Pius FRSA, Founder and Artistic Director of IROKO said: "This is good news indeed. 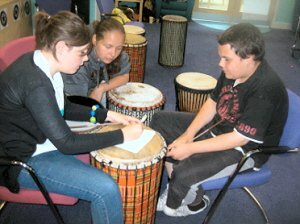 The funding will enable our intergenerational project to reach people of varied cultural backgrounds and abilities. 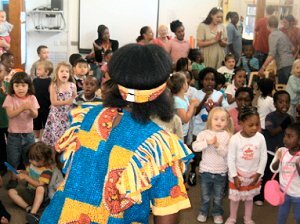 It will help enhance community cohesion through communal participation in cultural activities that celebrate London's cultural diversity. It will promote positive understanding and appreciation of African arts and culture by people from other cultures and especially amongst children and young people."